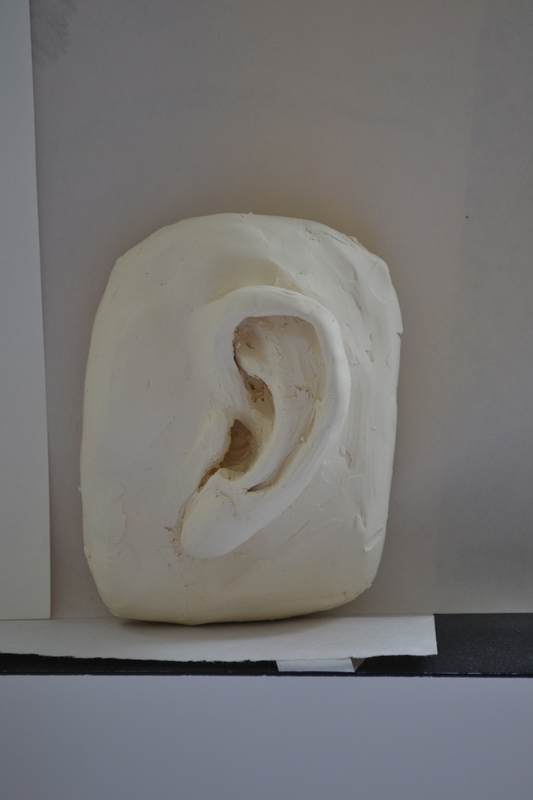 BTW – the lines around the ear are not supposed to be earrings, they are construction lines demonstrating the shape of the object – and the plane changes, they show how the form turns in space. 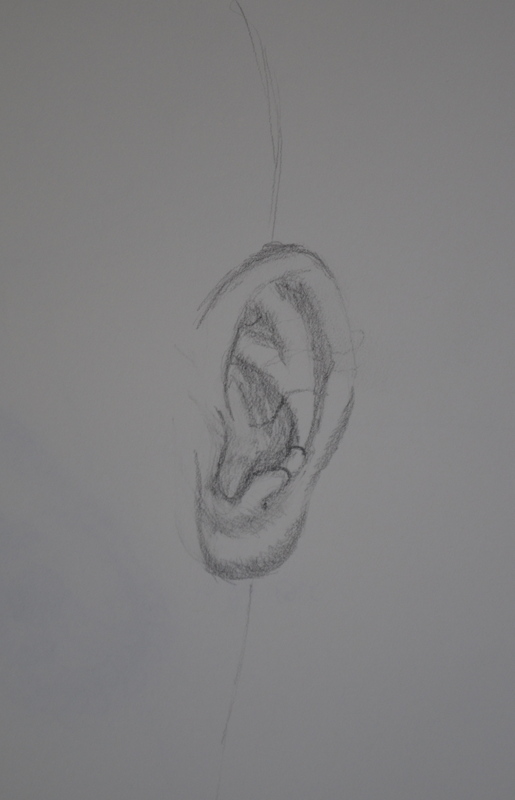 This entry was posted in drawings, pencil, sculpture and tagged art, art instruction, construction drawings, create, drawing classes, drawings, fine art classes, Gage Academy, inspire, pencil, practice, sculpture, Seattle on June 27, 2012 by lilo. 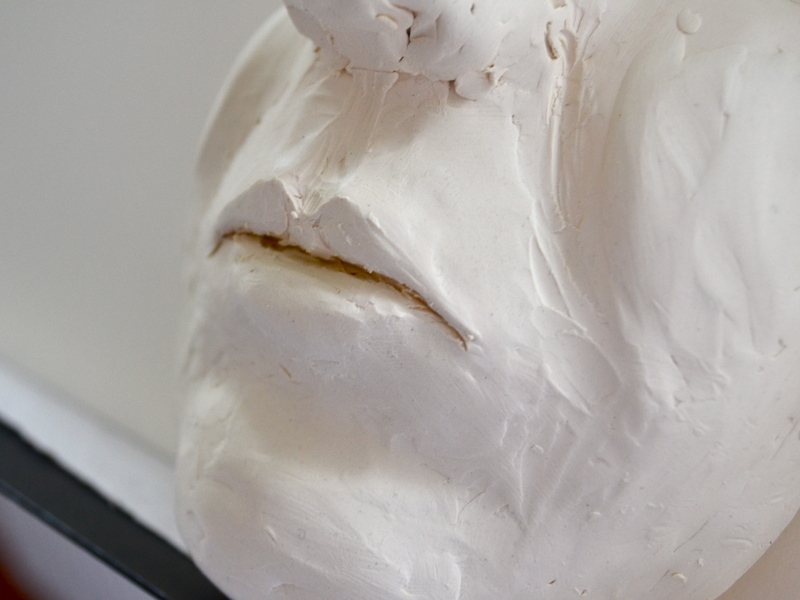 Last quarter (Spring 2012) I took “Beginning Portrait – Drawing and Sculpting” at Gage (instructor: Suzanne Brooker). 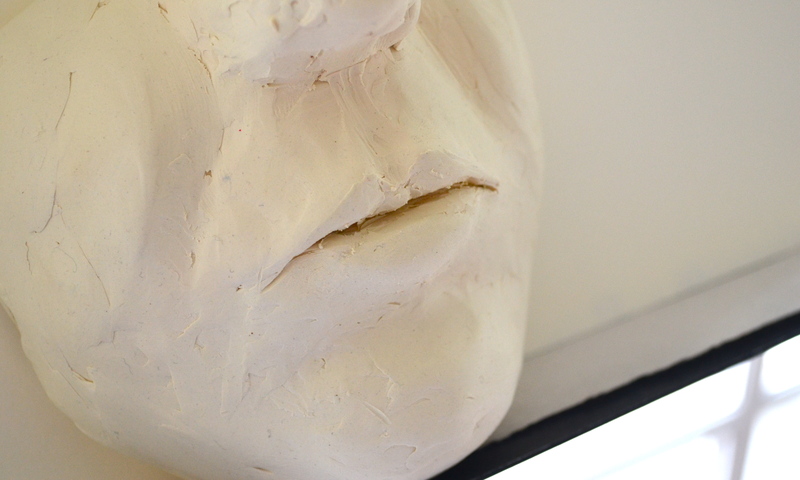 One week we drew (from the life model) and the next week we sculpted (from the same model) one particular feature of the head. 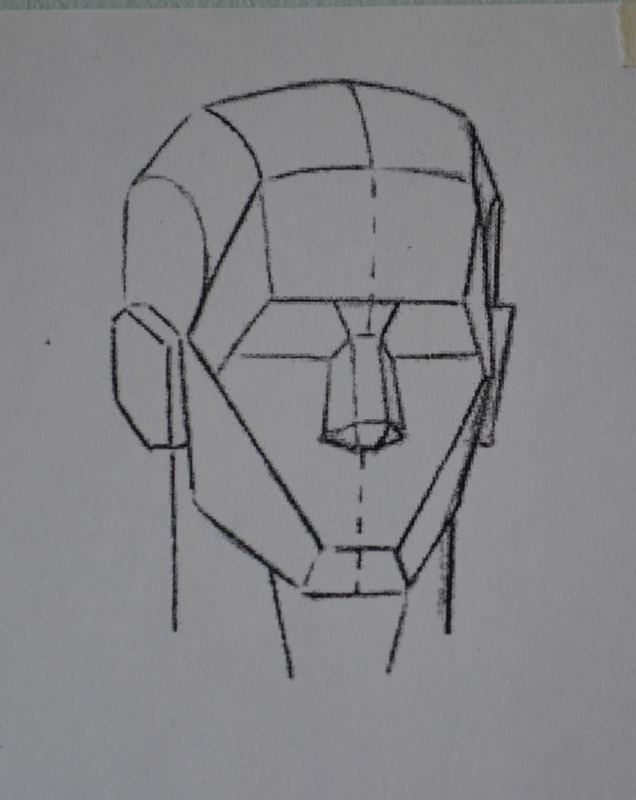 The point is to understand the plane breaks, dimensions and relations (of the features) of the face/head. To achieve this we drew so-called construction drawings that show the breaks and then sculpted this part. 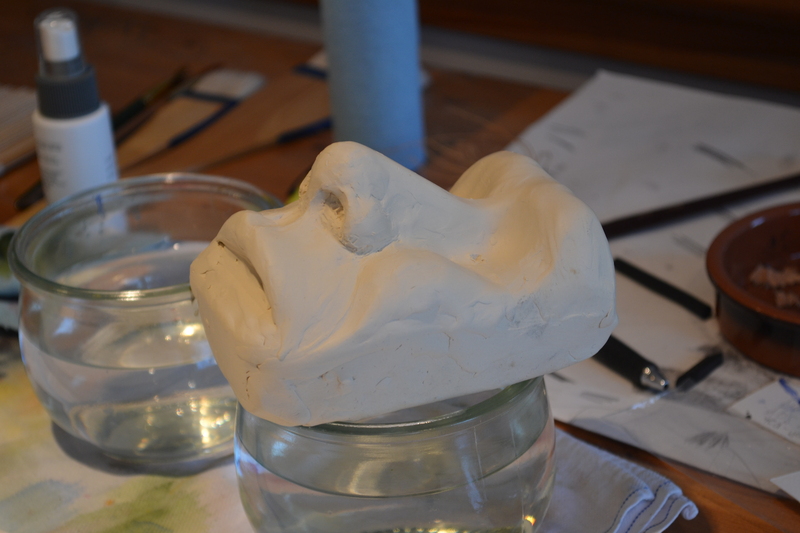 Sculpting (since it is 3-D) really enhances one’s understanding of the plane breaks and relations of the features to each other and as a result improves one’s drawing skills. 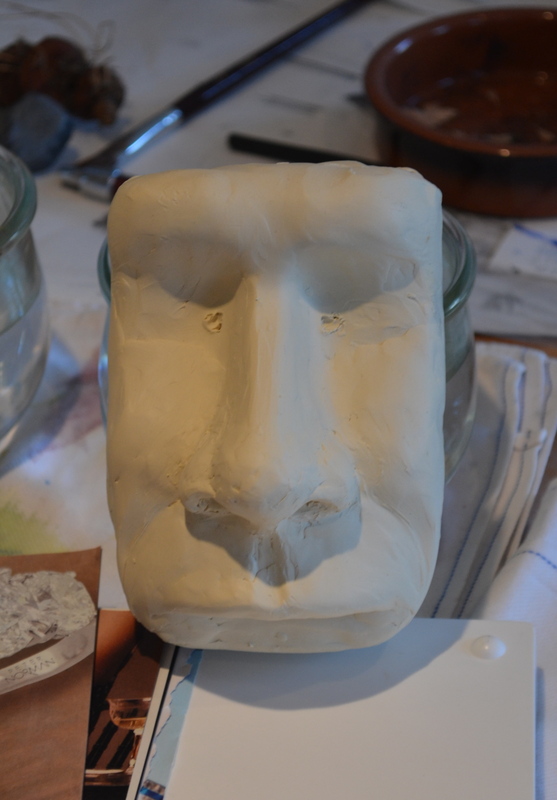 And the sculpture – the focus is on the nose, the other features are not really developed, only as much as needed for reference. 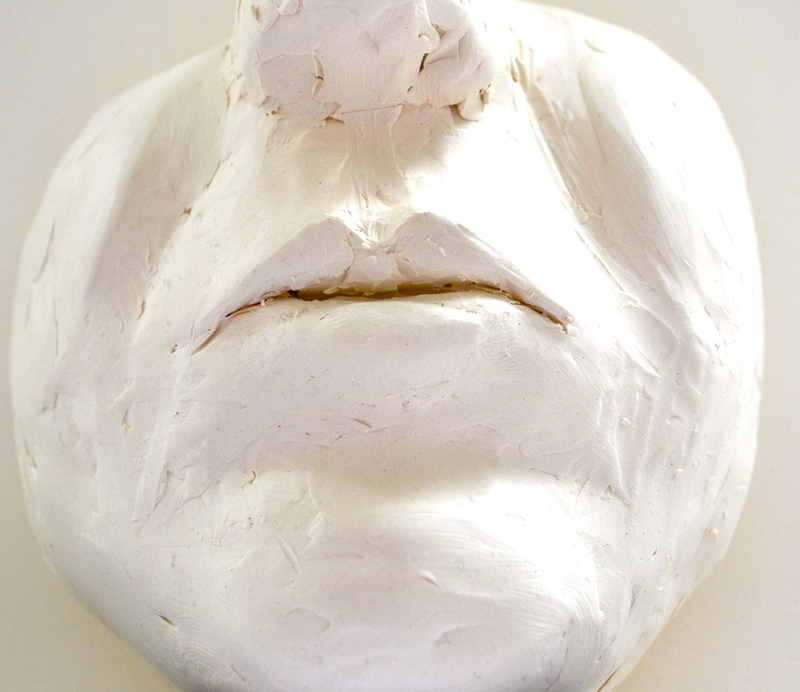 I’ll post other features of the head in the next few days. 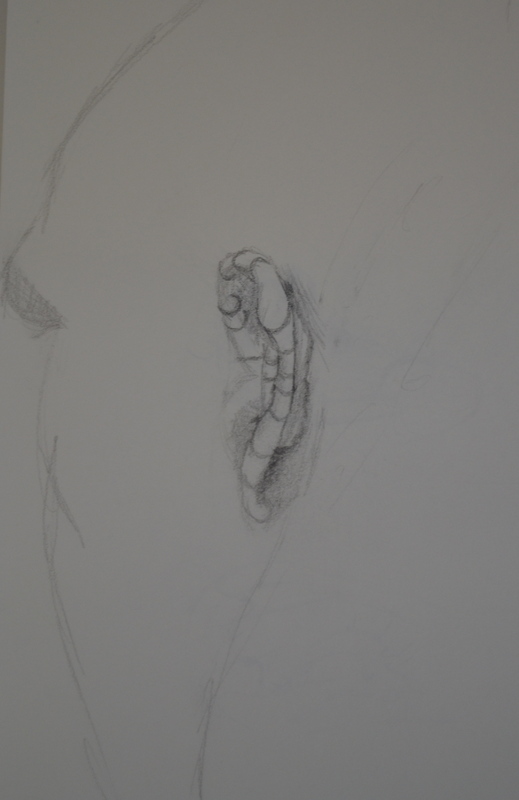 This entry was posted in drawings, pencil, sculpture and tagged art, art instruction, construction drawings, create, drawing, drawing classes, fine art, fine art classes, Gage Academy, pencil, practice, sculpture on June 26, 2012 by lilo. 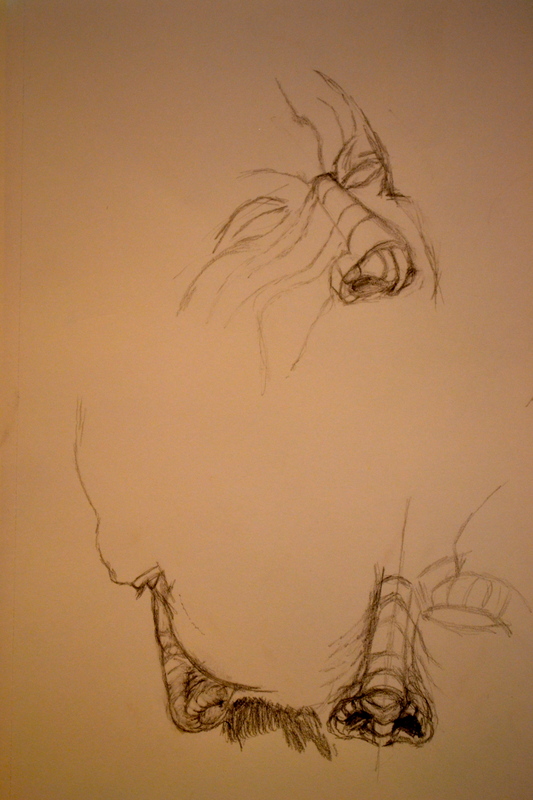 Last winter quarter I took Beginning Figure Drawing at Gage. 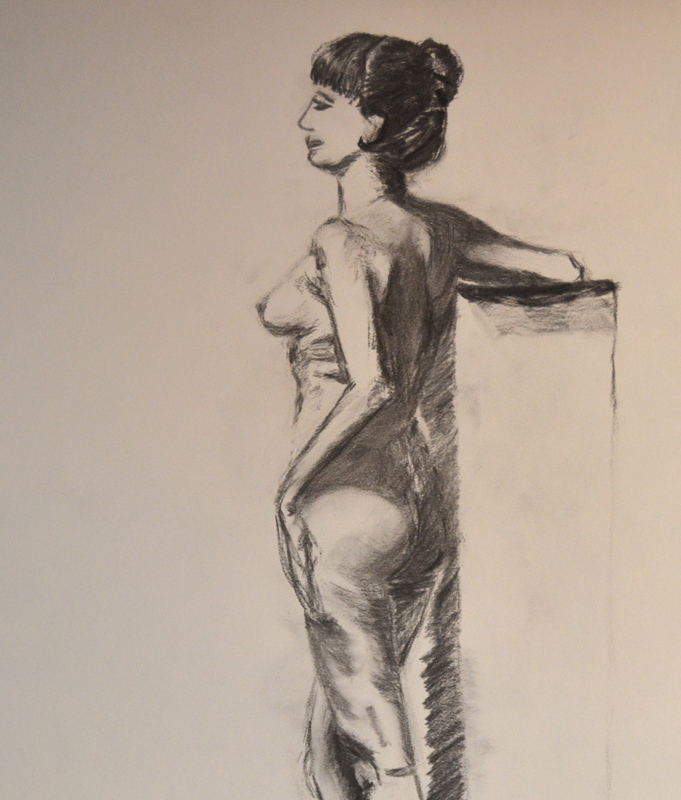 One of the great things about classes at Gage is that you have the opportunity to draw from life models. 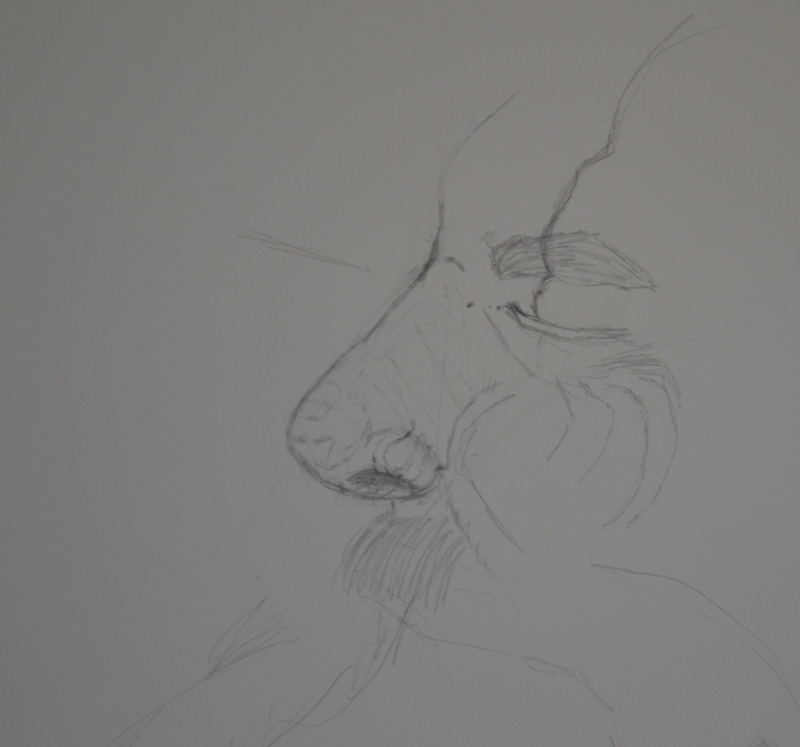 It’s quite different from copying another artist’s painting or drawing from a photo – challenging in many ways and rewarding at the same time. To really study the figure and learn to draw and paint it correctly you have to draw from a life model as often as possible. 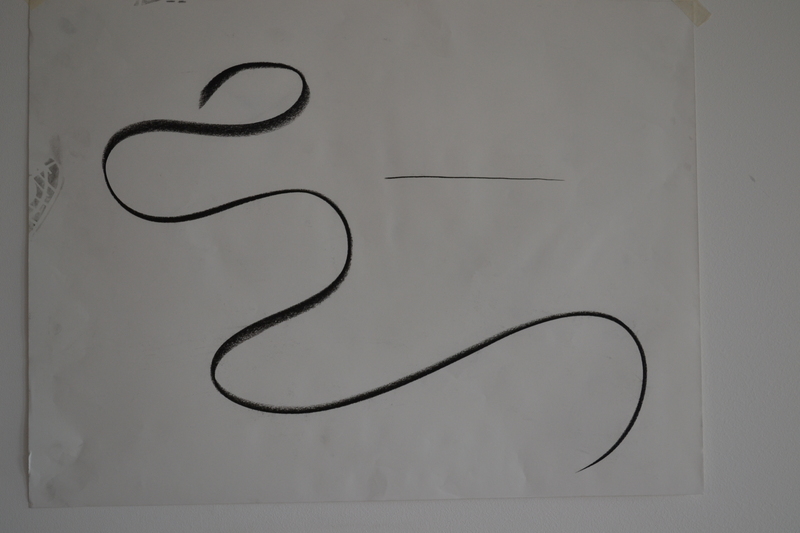 Here my first long-pose-drawing that I did during a class session in January 2012. 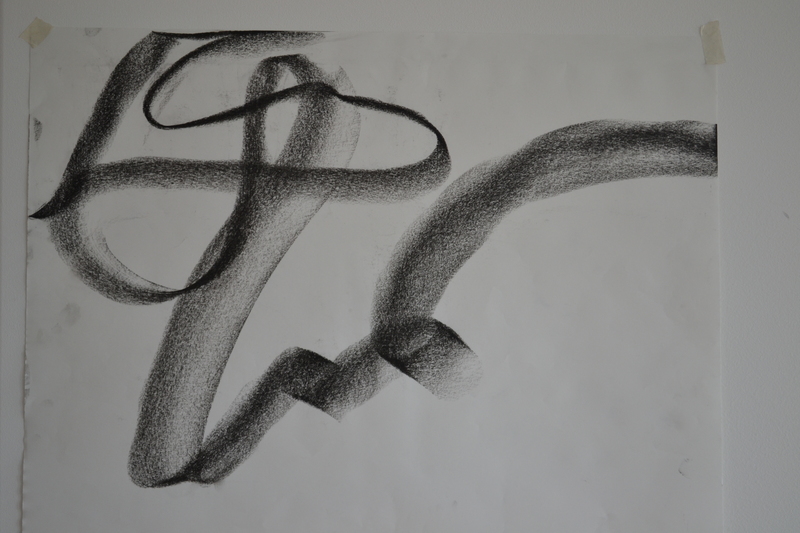 This entry was posted in charcoal, drawings and tagged art, art instruction, charcoal, create, drawing, drawing classes, drawings, fine art, fine art classes, Gage Academy, practice on June 19, 2012 by lilo.